The bachelor in chemistry will enable the student to understand the concepts, methods and principles on which chemistry is based. The student will gain the knowledge and skills necessary to carry out tasks of analysis, characterization and synthesis chemistry. Laboratory work, safety at work and professional ethics will also be the focus of student training. A passion for science. Have a great desire to understand the constitution and characteristics of the material. Loving observe phenomena as well as analyze, compare and quantify the data. Owning a rigorous and methodical mind, and love precision. Have good powers of concentration and observation. Have good manual dexterity. Being versatile and love teamwork. The sectors that will be available are numerous. Chemists are developing new products, invent industrial processes, design new methods for the preparation, separation, identification and purification of chemical compounds. They make custom molecules, such as synthetic fibers, ceramics, medicines, etc. They even appealed to them to establish the authenticity of art objects, age of archaeological artifacts, the cause of fires, the identity of criminals, etc. The Bachelor of Architecture allows to enroll in the Master of Architecture, which in turn gives access to the Ordre des architectes du Québec (OAQ). Bachelor opens the door to higher studies in chemistry cycles.. Discipline: dimensions and units; classical mechanics; electrostatic; periodic waves; electromagnetic waves. H: Bohr model; wave model, Schrödinger equation. Polyelectronic atoms. Chemical bond. Electrical properties of molecules: dipole moment, polarizability. Intermolecular forces. In an interconnected set of lectures and individual practical exercises, this course aims to present and put into practice the theoretical and analytical chemistry practices. Properties, qualitative analysis and determination of more than 40 commonly observed in aqueous medium ions constitute the bulk of the material. Relationship structure/reactivity with the acid-base reactions. Conformational analysis of alkanes and cycloalkanes. Stereochemistry and chirality. Nucleophilic substitution reactions and elimination. Properties, synthesis and reactivity of alkenes and alkynes. (This course is primarily for students of Biology programs, biochemistry, chemistry and microbiology). Language elementary mathematical models and applications. Functions of several variables: rate of change (directional and partial derivatives, gradient) approximation, optimization with and without constraints, curve fitting. Differential equations commonly used in the four areas listed above: first and second order, linear and nonlinear systems, applications. Applications and various exercises, especially in physical chemistry and thermodynamics. Elements of statistical thermodynamics. Kinetic theory of gases. Equations of state of gas: ideal gas, van der Waals gas, corresponding states. First law of thermodynamics. Thermochemistry. Second Law. Entropy. Free energy. Phase equilibria of a pure substance. Chemical kinetics: rate laws, reaction mechanisms. Elementary theory of collisions. The elements of the s and p families of the periodic table and their compounds are studied in depth by emphasizing the characteristics and evolution of properties in each family. The topics are: natural, physical, chemical reactions, production methods, industrial applications and recovery. This course aims to familiarize the student with the theory behind the use of several instrumental techniques in chemistry. The topics are: the various chromatographic methods, spectroscopic techniques (molecular, atomic and spectrofluorimetric) and some electrochemical methods. The cells and their constitution. Structure and function of biomolecules. Proteins and enzymes; structural features, enzyme kinetics and ligand-receptor interactions. Carbohydrates, lipids and cellular membranes. Nucleic acids. DNA replication. Translation of RNA and protein synthesis. Reactions of carbonyl compounds. Synthesis and reactivity of carboxylic dérivésd’acides. Preparation of enolates and liaisonscarbone-carbon formation: alkylation, conjugate addition, aldol, acylation and similar reactions. Aromaticity and reactivity of the aromatic electrophilic substitution and nucleophilic systems. Synthetic organic elements. Interdisciplinary courses (physical organic) with basics of mass spectrometry and UV-visible spectroscopy, infrared and nuclear magnetic resonance, and their application to the determination of the structure and the stereochemistry of organic compounds. Fundamentals of thermodynamics. Thermodynamics of multicomponent systems. Partial molar quantities, chemical potential and activity. Thermodynamics of solutions: ideal solutions, real solutions, electrolyte solutions, colligative properties. Phase diagram of binary systems. Chemical equilibria. Nernst equation, electrodes and electrochemical cells. This laboratory aims to familiarize students with a number of instrumental techniques. The experiences in the program relate to gas chromatography and liquid phases, spectroscopy in the visible and ultraviolet, infrared spectrophotometry, spectrofluorimetry, emission spectrometry with inductively coupled plasma, atomic absorption spectroscopy and flame emission. This course aims to give the student of BA in chemistry tools to improve its ability to acquire scientific information and present it. The topics are: introduction to literature search; database and software references; scientific writing and popularization; oral presentation of scientific results; oral presentation to a non-scientific audience; preparing a scientific exhibition; Introduction to writing scientific articles, grant applications and scientific reports. Particular attention will be paid to the quality of oral and written French. This course’s main objectives are to familiarize themselves with certain conventional manipulations in thermodynamics and chemical kinetics, to learn about the common methods of processing errors and learn how to write a scientific report. This course covers the elements of the periodic table with lanthanides and actinides belong, but mainly deals with transition metals. Subjects considered range from the preparation of metals to their use in catalysis and biochemistry, via the chemistry complex. This laboratory aims to implement the various aspects of organic synthesis. Topics focus on the preparation of pharmaceutical products and natural products biological and environmental interest. The experiments were selected for further spectroscopic and chromatographic methods necessary for the purification and characterization of the compounds prepared. These studies usually involve a literature search. Quantum axiomatic: quantum state, wave packets versus stationary states. Notions disruptions: theoretical foundations of spectroscopy. Separable movements translations, vibrations, rotations. Atomic hydrogen-like atom-orbitals. Permutational symmetry – Pauli principle. Molecular structure: Born-Oppenheimer approximation, potential energy surface, vibronic transitions. Development LCAO / MO canonical versus localized orbitals orbitals, hybridization theory. Practical introduction to the quanto-chemical calculations on computer. This course allows the student to learn the work and responsibilities of the analytical chemist. Practical work is, whenever possible, the scenarios experienced in the labor market. Presentations and lectures on the basic concepts in the field of control and quality assurance, ISO standards and the use of appropriate statistical tools to implement such programs complement learning. It also strengthens the skills in the field of oral and written communication. Practical work on the synthesis, characterization and removal of ionic compounds, covalent, organometallic, alloys, glass, minerals and gas. It pays particular attention to the techniques associated with their preparation, including: high temperatures, vacuum systems, photochemical and electrochemical preparations. The characterization may comprise the use of the following techniques: IR, NMR, UV-visible, X-ray diffraction, mass spectrometry, magnetic susceptibility, density, refractive index, optical rotation, CHN, AA, etc. These studies usually involve a literature search. Professionals today are faced with situations that require ethical skills and knowledge that go beyond technical knowledge specific to their area of ​​expertise. On the one hand, professionalization is a changing phenomenon, which requires a reflection on the meaning of work and more specifically on professionalism. Furthermore, although the professional practice is regulated by a code of ethics, the professional is asked to have a sense of ethical responsibility. Through case studies and analysis of the various issues related to professionalism, the course offers an ethical reflection on professional practice and the conditions in which this practice occurs. The student can complete four optional practical training courses: CHM-2590, 3590-CHM, CHM, CHM-3592 and 3591. The credits of these courses are in addition to the credit requirements of the program. To register, contact the program director. Overview of the approaches used to determine the three dimensional structure of proteins. Theory of X-ray diffraction and nuclear magnetic resonance (NMR). Prediction of secondary and tertiary structure of proteins. Bioinformatic tools to analyze the structure of proteins. The practical work focuses on predicting the structure of proteins, on the determination of the 3D structure of a protein by NMR and analysis of 3D structures. This lab is to practice techniques used to purify and determine the structure (including stereochemistry) organic compounds. The main techniques are chromatography (vapor phase, and chiral liquid) alone or coupled to mass spectrometry, NMR (1H, 13C, 19F, 2D sequences) and polarimetry. This work includes a literature search. This course consists of a thorough study of reaction mechanisms and their applications in organic synthesis. Reaction intermediates: carbocations, carbanions, radicals, carbenes, arynes, nitrenes and singlet oxygen. Pericyclic reactions: cycloadditions, electrocyclic reactions, sigmatropic rearrangements and reactions “ene”. This course aims to familiarize the student with experimental techniques used for the characterization of biomolecules, especially proteins and nucleic acids. The experiments focus on the program electrophoresis, spectroscopy of absorption in the ultraviolet and visible, fluorescence, circular dichroism, infrared and Raman spectroscopy, nuclear magnetic resonance in solution and in the solid state and the surface plasmon resonance. Organic chemistry of the three main organic compounds of groups: proteins (amino acids, peptides, enzymes); carbohydrates (sugars), anomeric effect, glycoside synthesis; nucleosides, nucleotides, polynucleotide synthesis. Main medicinal chemistry concepts: rational design versus large-scale screening, isosteric replacement, prodrug, structure-activity relationship, stereochemistry, enzyme inhibitors, drug-receptor interactions. Presentation of the main reactions used in organic synthesis such as oxidation, reduction, the formation of carbon-carbon bonds, etc. Concepts of protecting groups in organic synthesis. Introduction to retrosynthetic analysis and applications to the synthesis of simple molecules. Fundamental concepts and formalism in organometallic chemistry. Preparation and structure of the reactants (organo-alkali metal, alkaline earth metal, Ti, Cu, Pd, B, Al, Sn) used in organic synthesis. Categories ligands. Useful synthesis reactions (eg . : Suzuki, Heck) or bioactive natural products. Organometallic catalysts in enantioselective synthesis. 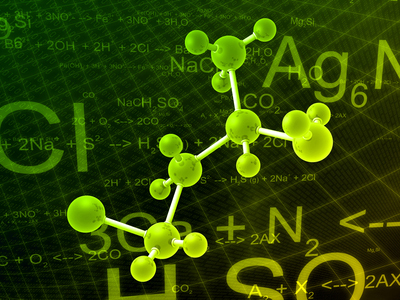 This course is an introduction to basic concepts of organometallic chemistry. Specifically, the student learns the reactivity and stability of organometallic complexes, feedback mechanisms, different complex characterization methods, homogeneous catalysis, as well as the history and the modern challenges of organometallic chemistry. At the base of all cosmeceutical contains one or more active ingredients. In very large proportion, these active ingredients are of natural origin. This course will introduce the basics of the chemistry of natural products; the identification of an active principle to its characterization. Contents: sources of natural products, ethnobotany and pharmacognosy, botanical elements, classes of natural compounds collection techniques, preservation, extraction and fractionation, bioguidage, dereplication, characterization techniques, sustainable development principles and production strategies medium and large scales, introduction to good laboratory practice. Study of the macroscopic properties of materials in their solid state in relation to the nature of their constituents, the type of chemical bonding and crystal structure. Some topics covered: types of structures, thermodynamics of ionic solids, structural defects, semiconductors, superconductors, solid electrolytes, magnetic, light-crystal interactions. During this course, the student is led to consider the reactions that result from the interaction of electromagnetic or particle radiation with matter. In particular, it deals with natural radioactivity and that used for medical purposes. An experimental section is incorporated in the form of radioactivity measurements on actual samples. Polymerization and properties of polymers: definitions and nomenclature, molar masses, stepwise polymerization (polycondensation, polyaddition), chain polymerization (radical polymerization, by ionic route, by coordination), copolymerization, chemical modification of polymers, conformation and size of macromolecules, transition phenomena, crystallinity and morphology, elasticity, mechanical properties, recycling. The course includes laboratory work and a literature search. Fundamental phenomena (electrochemistry, photoconductivity, photochemistry, photophysics) associated to technologies and modern materials such as organic semiconductors, integrated circuits, chemical sensors, photocopying, photolithography, liquid crystals, etc. The course includes an oral presentation by each student on a subject in the field of modern materials. Fundamental concepts and physicochemical properties of nanoscale systems and their applications in various technology areas (materials, electronics, pharmaceuticals, medicine). Methods of preparation and characterization techniques of organic and inorganic nanostructures. This course includes an oral presentation by each student on a subject in the field of nanosciences and nanotechnologies. This course aims to familiarize the student with the underlying theory to several experimental techniques used for the characterization of biomolecules, especially proteins and nucleic acids. The topics are: chromatography, electrophoresis and ultracentrifugation. Absorption spectroscopy in the ultraviolet and visible. Fluorescence. Circular dichroism. Infrared and Raman spectroscopy. Nuclear magnetic resonance spectroscopy. Surface plasmon resonance. X-ray diffraction. This course provides an update on key aspects of industrial chemistry. It presents current knowledge about chemical obtaining the main mineral products, metallurgical, and organic polymers. The course also covers the following topics: raw materials, research and industrial development and optimization of reactions; the world’s largest chemical industry, energy, chemical, environmental impacts and pollution control, quality control and economy of chemistry and industrial property. The student becomes aware of the processes and techniques used in the various chemical and petrochemical industries and the links between the chemical industry, the economy, energy and the environment. The student admitted to profile sustainable development must follow the CHM-2150 course. This activity introduces the student to the research and writing of a dissertation. The student can work on a project under the guidance of a professor in the specialization of their choice. At the end of his work, which should normally coincide with the end of the quarter, the student prepares a detailed report of the work done. This report contributes to the assessment. Introduction to research in the field of chemistry under the guidance of a teacher. This initiation is done full time, usually during the summer session, in a research laboratory for a minimum of 12 weeks and a minimum of 384 hours. Besides the realization of laboratory tasks, the student must make a critical analysis and synthesis of results. Evaluation is based on a written report, poster presentation and an assessment by the supervisor. The student admitted to profile sustainable development must follow the DDU-3000 or during the DDU-3010 course. The student admitted to the research profile should follow the CHM-2303 course. 3 credits or another language if the advanced level English (TOEIC: 750) is acquired during the test administered by the School of Languages. Study of the physical evolution of the human and cultural human societies, from Australopithecus to Homo sapiens; the main stages of development of cultural systems before the development of agriculture in the Old and New World. Populating new continents. General Introduction to Archaeology of different cultural areas of hunter-gatherer societies on the planet. Analysis of economic relations between Haiti and the Dominican Republic to better understand their influence in the development of economic policies and Haitian dominicaises. Critical study of sectoral issues, guidelines and trade disputes between the two countries. Features of the evolution of trade flows and Haiti-Dominican agreements. This course aims to train the student to the information search process to quickly find relevant information in libraries and on the Web, evaluate and properly cite the source. It also aims to bring the student out using the results of this research effectively presenting them with a word processor, spreadsheet, and a creation software digital slide while respecting the generally recognized rules of disclosure and written on the screen. This training is based on the areas of competence of the French national repository of IT and Internet Certificate (C2i). This course is an introduction to microeconomic analysis applied to business management. It focuses on understanding and application of relevant economic concepts to the business world. The concepts covered include the basics of economics, optimization, supply and demand, incentives of the different economic agents, the structure of production costs and market functioning. The main objective is to improve decision making by highlighting the economic factors that influence the choices of individuals and those of companies and their performance. Analysis of major trends in the contemporary world (industrialization, liberalism, nationalism, imperialism and decolonization); general knowledge on the following topics: a polarization between the communist world and the capitalist world, development and underdevelopment. This course allows the student to know the requirements and how to manage the growth of SMEs; to share the experience of several Haitian small and medium entrepreneurs working in various fields; to understand the interrelationships between the various activities of the overall management process of a small business; to recognize the principles and application management processes put in some existing businesses. This course focuses on the adaptation of management depending on the stage of development of SMEs. The course is built around a series of events (symphonic concert, recital, opera, theater, exhibitions, ballet, etc.) selected in the programming of various cultural organizations of the country. It has three components: Preparatory exposed to the event (with the participation of various guests), event itself, critical review. A musical training at university level is not required to take and pass the course. The reference values ​​presented in this course are the values ​​used in Haiti and the content of the course is to Haitian application. Study of various nutrients necessary for human body: energy, carbohydrates and dietary fiber, fat, protein, vitamins, minerals and water. Nature, roles, metabolism, recommendations, dietary sources, effects of deficiencies and excesses for these nutrients. History of certain drugs, the progression of the researcher and the role of chance in the discovery. Influence of social, political and scientific development of a new molecule. Demonstration of the influence of drugs on quality of life and longevity of individuals. The drugs studied in this course have been selected based on the times they represented and their innovative nature. This course aims to present an overview of the industrial relations field and the various aspects under which it can be studied. After a study of the nature of industrial relations and their development, exposed that the system by means of labor relations with all its components. In addition, this course presents the main sources of citation in industrial relations. This course focuses on the relationship between science and society from the point of view of history and sociology. It examines the circumstances of the emergence of Greek science, and those surrounding the birth of modern science. It presents the sociological analysis of the nature and function of the current science. The student admitted to profile sustainable development must follow the DDU-1000 courses and courses from a DID-1912, DRT-1721 ECN-1140, EDC-3000, ENV-1010, FOR-2020 GCI-3001, GGR- 1005 GGR-1006, MNG-2110 POL-2207 SOC-2114. The student admitted to the research profile should follow EDC-4000 courses and PHI-1900. Work placement reserved exclusively to students admitted to the sustainability profile or certificate sustainable development, having gained 24 credits or more and equal to or greater than 2.67 average / 4.33. This placement allows it to make connections between the knowledge gained in sustainable development and the labor market. Thus, the student is called to practice their skills, abilities and knowledge in solving problems related to sustainable development. The course is a minimum of 135 hours. Intervention project exclusively for the student admitted to the sustainability profile or certificate sustainable development, having gained 24 credits or more and equal to or greater than 2.67 average / 4.33. The intervention project is essentially an integration activity and knowledge application on an issue related to development. The intervention led project can be individual or collective, under the supervision of one or more teachers. It must contain a minimum of 135 hours of work on the project for each student. This course offers a critical analysis of principles and the environmental education practices (ERE) and questions our relationship to nature. He also wants to introduce students to a teaching of interdisciplinarity on current environmental issues. In connection with the educational aims of the broad areas “environment and consumption” and “living together and citizenship” training program in primary schools, of the environmental education initiatives are planned in. These approaches aim of skills and targeted learning and implement different strategies ERE..
Introduction to environmental law in the context of current and future environmental challenges. Overview of the main legal instruments in Haiti to fight against environmental pollution and climate change, preserving biodiversity and implement sustainable development. Study of administrative appeals, civil and criminal. Study of authorization schemes, procedures of public review of the impacts and administrative appeals, civil and criminal to the public and to public administration.. Analysis of the evolution of the international oil market. Behavior and strategy of the key players dominating this market: OPEC, the United States multinationals. Review of national energy policies. Study of the effects of oil shocks on the economic environment and international politics: the North-South dialogue, the petro-dollar debt of developing countries, etc.. This summer school is intended as an introduction to didactics of interdisciplinarity, so that the participant analysis of current environmental issues by combining different disciplinary knowledge and different perspectives of analysis. It also introduces a few educational strategies in environmental education and sustainable development and education controversies raised sustainable development issues, in line with the principles of critical pedagogy.. This course aims to familiarize students with the fundamentals of nature conservation as well as approaches to apply them in a socio-economic and political context in constant change. The Nature Conservation aims to protect biodiversity and ensure that ecosystems use to maintain or restore health, resilience and productivity of these and ensures sustainable use. The student will have the opportunity to implement his knowledge by creating a plan, strategy or practice for a concrete problem of conservation..
Understanding the concept of environmental information. Use of environmental information in the context of an impact study. Theory and methods of impact assessment. Design and implementation of components of an impact study. Understanding the institutional framework within which fits this kind of study. Analysis of studies conducted in the framework of specific projects.. This course helps to learn the impact studies and develop methodological tools for such studies. It includes a review of federal and provincial impact assessment and their regulatory process; the review of available methods, types case studies of recent projects; the identification and management of conflicts of environmental impacts. Notions of environmental auditing..
Introduction to the study of the relationship between human societies, their economic activities and geographical areas. The development, its manifestations and problems. The consequences on the environment. Environmental problems and their impact on the economy. Links between the different spatial scales (local, regional, national, international)..
Introduction to the climate system and its operation. Review and characteristics of the main greenhouse gas. Introduction to climate modeling, scenarios and forecasting models. Analysis of climate change impacts on physical and human environment. Adaptation measures envisaged to mitigate climate change. International agreements and the situation of Haiti.. This course’s main objective is to provide conceptual and practical tools to understand and efficiently integrate the concept of sustainable development in organizations. The foundations and practical applications of this concept will be apprehended using various examples and an interdisciplinary perspective.. The course objective is to introduce students to environmental issues from the perspective of policy analysis and public administration. The evolution of ecological thinking. The appearance of the main environmental issues and problems in contemporary societies. The instruments and management mechanisms at national and international level. The role of social forces. Haitian dimension of environmental policies. Foreign experiences.. This program offers, as part of this profile, a number of places for students wishing to pursue one or two sessions to study at a university located outside of Haiti. The student is asked to contact the program director to determine the conditions of admission to study abroad. It may also consult the database of the International Bureau of the GOC University to know the partner universities of the program abroad. The search profile is a journey of 12 credits in integrated student’s curriculum. It aims to acquire research skills and learning of science communication to its own field of study. When his path to the profile is completed, the student will receive the “search profile” mention on her degree studies. The course-COM 1908, compulsory program, is part of the profile. AThis course aims to train the student to the information search process to quickly find relevant information in libraries and on the Web, evaluate and properly cite the source. It also aims to bring the student out using the results of this research effectively presenting them with a word processor, spreadsheet, and a creation software digital slide while respecting the generally recognized rules of disclosure and written on the screen. This training is based on the areas of competence of the French national repository of IT and Internet Certificate (C2i). AThis course aims to make known some of the tools of thought and above all to show how to use them to better arrange the existing knowledge or those under development. We learn to analyze a text or a point of view, to bring out the essential, defining the concepts involved, to distinguish and evaluate the arguments involved. Such training is proving an asset to profitably address any field of study. It also assists in drafting more precise and coherent texts. As this is a basic course requires no previous training in logic. It may be followed by people in any field, as well, of course, by those who are enrolled in a philosophy program.